We are extremely fortunate to have an incredible staff of dedicated animal lovers on board at the BloorMill Veterinary Hospital. They are the heart of the organization. Each and every one has been selected for their skill and passion for serving the needs of our clientelle. Our clients frequently state that our practice has an extremely warm and friendly environment which is a tribute to the employees listed below. Chelsea has been working with animals in varied fields since 2004, and has been part of the BloorMill team since 2010. She has always had a soft spot for animals, and has grown up with a variety of pets including dogs, cats, gerbils and guinea pigs. Currently she is the pet parent of 2 rescued stray cats named Fanny and Franklin. In her spare time, Chelsea enjoys reading, spending time with friends, and travelling - particularly to visit her parents and their 2 dogs in Ecuador, where they retired. 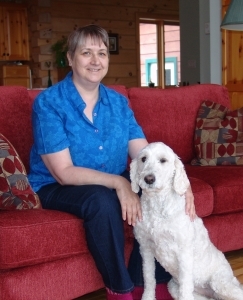 Vanessa obtained her Animal Care Certificate in 2001 from Sheridan College and joined our staff in 2003. She went on to obtain her Bachelor of Honours Degree in Social/Cultural Anthropology from the University of Toronto in 2007. She really enjoys working with animals and has a lot of compassion for them and all they have to offer. Her outside interests include spending time with her husband & friends, travelling and dance. She has an adorable dog named Kingston. Stephanie joined the BloorMill team in 2013. She received an Honours Bachelor of Science from the University of Toronto in 2009. After working in a veterinary laboratory for 3 years, her love of animals drove her to pursue a career as a veterinary technician. 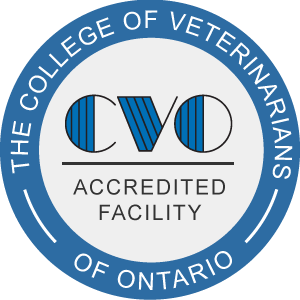 Stephanie obtained her Registerd Veterinary Technician status in 2013 after completing the Veterinary Technician program at Seneca College. She currently has a cute rescue cat named Lucy, and was also a pet-parent to 3 ferrets. In her spare time Stephanie volunteers at a local ferret shelter. She also enjoys travelling, dance, and spending time with friends and family. 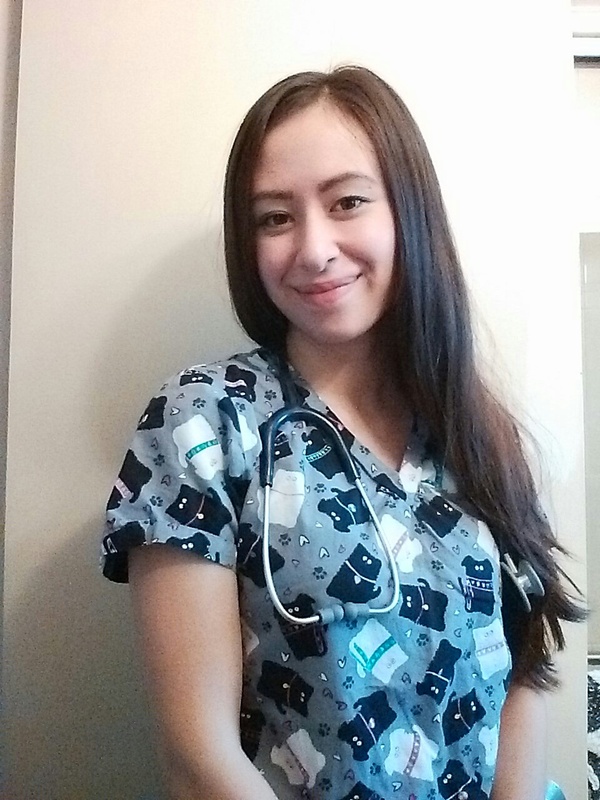 Kiyoko is a 2015 high honours graduate of the Veterinary Technician program at Sheridan College. She brings with her an enthusiastic and compassionate nature. She is a dedicated animal lover and pet parent to a Presa Canario named Griffin and an American Bulldog X named Robin. She grew up with many pets which included hamsters, guinea pigs, rabbits, parakeets, Ferrets, some fresh water fish, a gecko a\nd a newt. She is always striving to learn and improve herself to provide exceptional care for the patients we see. Some of her hobbies include biking, nature walks, swimming, baking, reading, and playing video games. 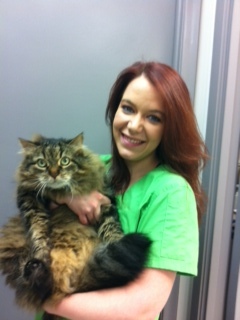 We are lucky to have her working with us at BloorMill Veterinary Hospital. 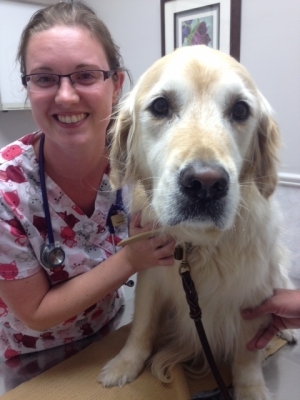 Rachael is a 2014 graduate of the Veterinary Technician program at Sheridan College. Natalia is a 2015 graduate of the Veterinary Technician course at Sheridan College. Janet Gillespie, was our office manager for over 23 years and passed away after a long and courageous battle with cancer in August, 2016. It is truly an understatement to say that Janet was an incredible person; loyal, compassionate, caring and deeply committed to animal care. I first met Janet when I was a student of the age of 17 working at another animal hospital. 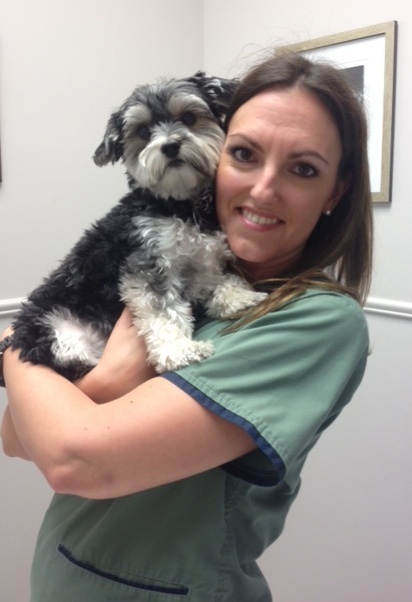 We became life-long friends and ultimately she came to work with me when I opened the BloorMill Veterinary Hospital. There from the beginning, Janet arrived with paint brushes in hand before the doors even opened. She was the type of person who always wanted to lend a helping hand and support her friends. 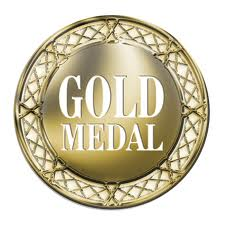 I can honestly say that after 38 years of working in this profession I have never met another person who was as dedicated to providing loving care to pets in the Veterinary environment. She was a quiet person happy to remain in the background but was never afraid to stand up for the rights and protection of animals. Her unconditional love for animals and her desire to keep her patients comfortable was an inspiration to everyone around her and made them better people and better at their jobs. In a conversation, Janet told me she felt strongly that our furry friends have souls and she was looking forward to being reunited with her many pets and family/friends who had gone before her. I like to think there are thousands of animals waiting on the other side to greet her and thank her for her love and healing over the many years. Among them will be her many cherished cats and horses. Rest in peace our dear Janet….